Anastasiya got her high medical education in Belarus. Later her life changed when she started to work as a journalist for the independent journalistic project „Vitebsk Courier“, the biggest media of the Vitebsk region. She is a member of the Belarusian Association of Journalists and graduated from the Interlink Academy International Dialogue and Journalism Hamburg and from the Media and Management School Belarus. 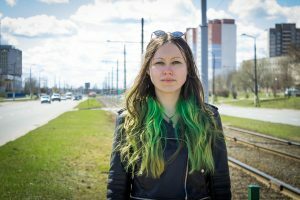 Anastasiya covers social, ecological and historical topics, but also health care, gender inequality, women rights protection, environment and animal rights, culture or travelling for different online-media in Belarus.